Who is the Natural Resources Trustee? State Natural Resource Trustees are appointed by the governor of each state. In addition to state trustees, the President of the United States and Native American tribes appoint federal and tribal trustees. New Mexico frequently shares trust responsibilities for natural resources with other Trustees. Michelle Lujan Grisham was sworn in as the 32nd Governor of New Mexico on January 1, 2019. 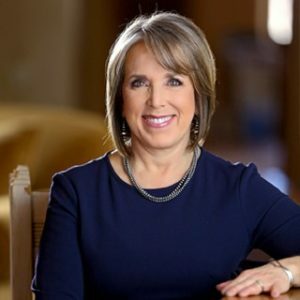 Prior to becoming Governor, Lujan Grisham served three terms in Washington on behalf of New Mexico’s 1st Congressional District. Previous service to the state included serving as director of the state agency on aging which became a cabinet level agency under her leadership, the Aging and Long-Term Services Department, where she served as the first Cabinet Secretary and later as the Secretary of the state Department of Health. Across her career in state government, she served under three different governors, Republican and Democrat, demonstrating her lifelong emphasis on positive, productive, result-oriented work above all else. Ralph Gruebel joined the Office of Natural Resources Trustee as Executive Director in November 2018. He previously served New Mexico as a Director of the Environment Department’s Environmental Protection Division and most recently as Compliance and Enforcement Section Chief of the Department’s Air Quality Bureau. His private and public sector environmental experience ranges from environmental site assessments to nuclear waste management and site characterization at US Department of Energy facilities. Mr. Gruebel holds a Bachelor of Science Degree in Geology from the University of Houston and a Master of Science Degree in Civil Engineering from the University of New Mexico.